Cancer is an extremely complex and complicated disease in which myriad of the basic human cellular and biochemical functions are affected. 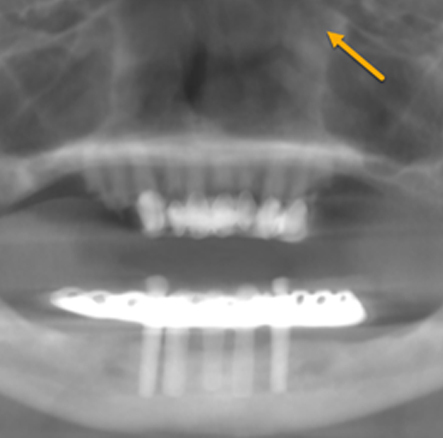 Metastatic lesions to the jaw are rare, comprising of less than 1 – 2% of all jaw lesions. 1,2 Because of this rarity, diagnosis of metastatic lesions to oral cavity is a challenge and should be considered as a differential diagnosis to more common inflammatory and reactive lesions. 1 In the jawbones, mandible is the most common bone involved, with the molar regions being the more frequent site affected. 1 According to Hirshnerg et al, in 25% of the cases, oral metastases was found to be the first sign of metastatic spread and in 23% it was the first indicator of undiscovered malignancy from a distant site. According to the Center for Disease Control and Prevention (CDC) prostate cancer is one of the most common cancers among men in the United States, aside from non-melanoma skin cancer. 3 In 2011, 209,292 men were diagnosed and 27,970 died from prostate cancer in the United States. 3 One of the common sites for metastasis in cases of carcinoma of the prostate gland is bone. Less than 1% of all metastatic bone lesions are found in the jaws; the majority spread across the vertebral column, pelvis, ribs and skull. After a thorough English language search of literature in PubMed, it was ascertained that there is no published literature wherein there has been a metastatic lesion to the maxilla from a prostate primary. 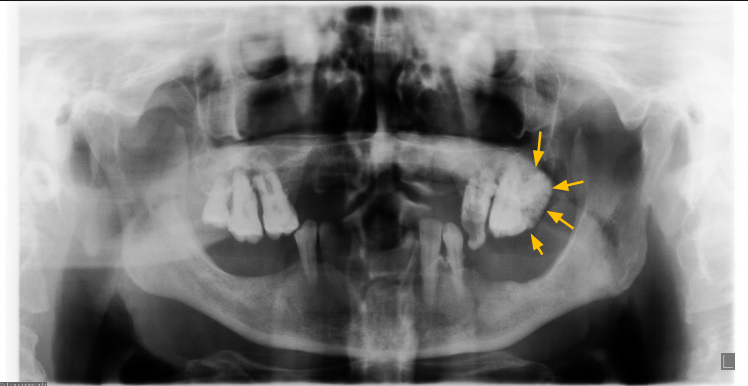 In this paper we discuss a rare metastatic lesion of prostate cancer to the maxilla. 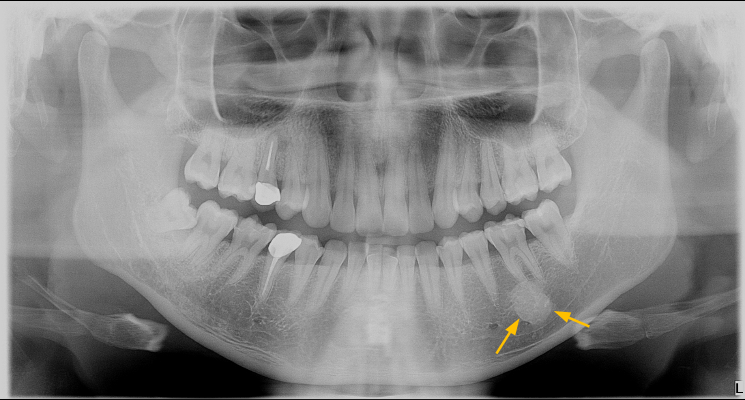 A CBCT scan was made on a 69-year-old male for implant planning in the maxillae and the mandible. 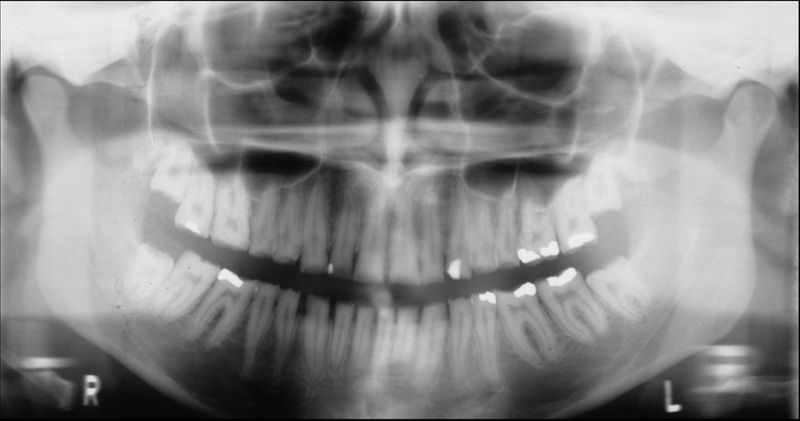 An irregular radiolucent area in the maxillary bone just anterior to the left maxillary sinus and inferior to the infraorbital rim was reported. (Fig. 1, Fig. 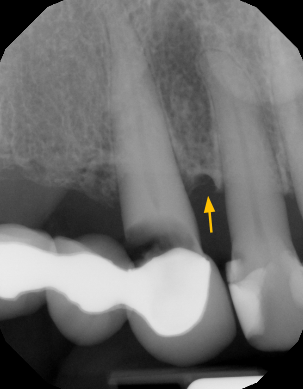 2, Fig 3) The surrounding bone appeared to be relatively sclerotic. Areas of discontinuity in the facial cortex were noted. The patient was asymptomatic upon examination, but considering the appearance of the entity and age of the patient, a biopsy was suggested and performed. The histopathological examination revealed a metastatic lesion, and further investigation including medical imaging of the patient revealed that this was a metastatic lesion secondary to a prostate cancer. Metastatic spread of carcinoma to jawbones are very rare. 1,2 Bone metastases due to prostate carcinomas are usually seen in the advanced stages and typically cause osteoblastic (bone- producing) lesions. 8 Compared to 1.5% of the metastasis found in soft tissue of the oral cavity, 11% of metastasis were seen in the jawbones from a primary prostate carcinoma. 1,9 Due to significant red marrow component of the jawbones, prostate carcinoma may prefer it as a site for metastasis. 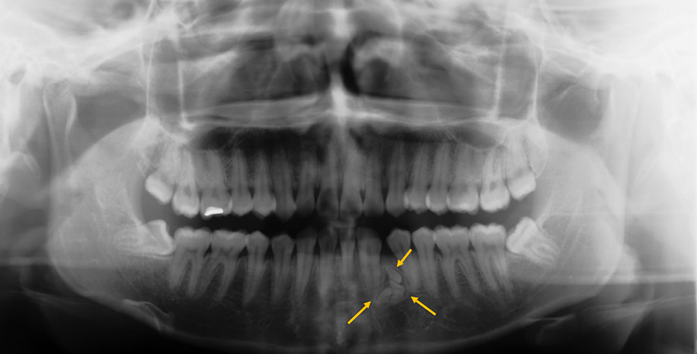 Within the oral cavity the jawbones were affected twice as much as in the soft tissues. Amongst the jaw bones, the mandible was the most common bone involved and the molar region was the most common site. 1 The clinical presentation of the metastatic lesions commonly comprised of pain, paresthesia, rapid progressing swelling, bony or soft tissue swelling, non-healing extraction site, and in some cases as “numb chin syndrome”. 1,9,10 The patient in this case report was asymptomatic. 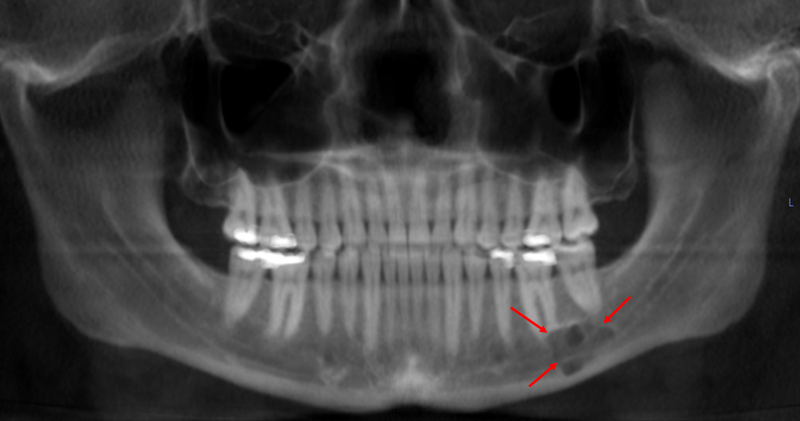 Part of the reason could be that the lesion was situated in the maxilla and superior to the tooth bearing areas. Osteolytic bone metastasis is characteristic of more than 90% of malignancies determined by the type of interactions between bone and tumor cells. 1 Bone metastases due to prostate carcinoma are usually seen in the advanced stages and typically cause osteoblastic (bone- producing) lesions. 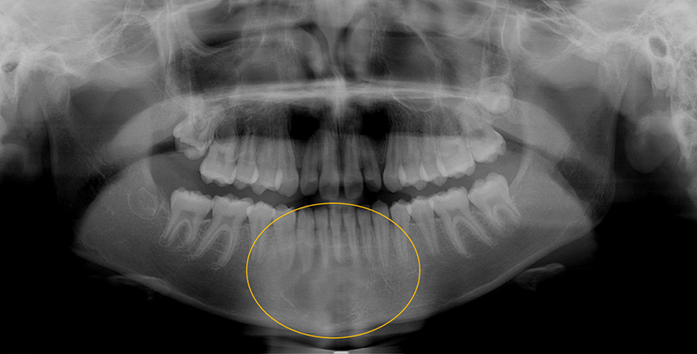 8 They can also be seen as radiopaque or mixed radiopaque and radiolucent lesions. 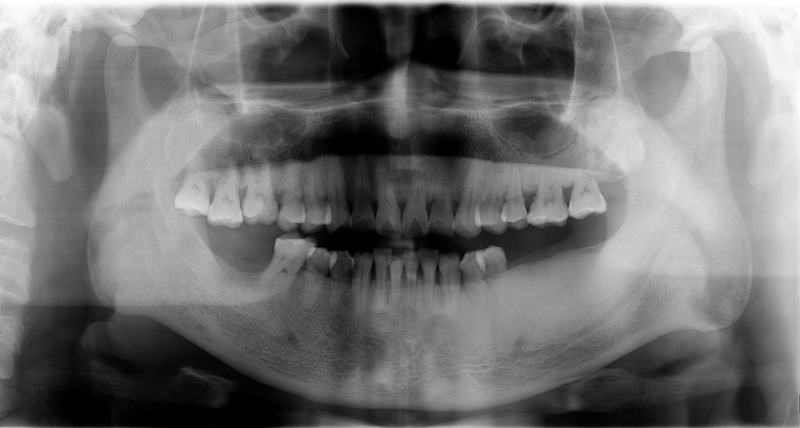 1,10,11 In this patient the lesion was a mixed radiopaque and radiolucent lesion and osteolytic with destruction of the bony margins of the maxilla. The pathology of metastasis and metastatic process in the jawbones is not clear. Even though the oral mucosa and jawbones share the same blood supply, 12 the uneven distribution of metastatic lesions suggest that the metastatic spread in not a simple mechanical process. In older age groups the jawbones are poor in active marrow found in the posterior portion of the mandible but in cases of focal osteoporotic bone marrow defect remnants of hematopoietic marrow can be detected. 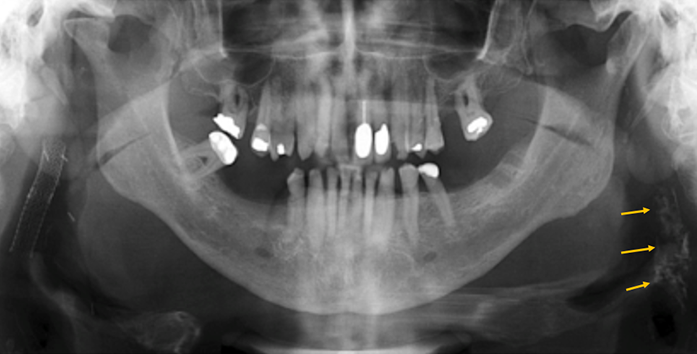 This case was done as an over read and the patient’s dentist confirmed the diagnosis. We were unable to obtain further information since patient went back to primary care physician. This case is a unique opportunity to study a rare instance of prostate cancer metastasis to maxillary bone. 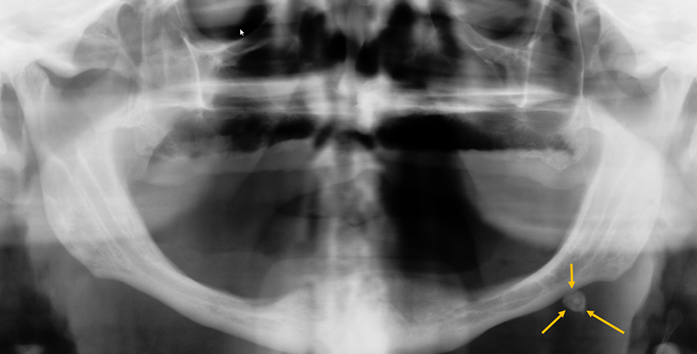 Cases of metastasis to the mandible from prostate cancer have been reported; however, metastatic lesions to the maxilla are rare and so far have not been reported. Hirshberg A, Shnaiderman-Shapiro A, Kaplan I, Berger R. Metastatic tumours to the oral cavity - pathogenesis and analysis of 673 cases. Oral Oncol 2008;44(8):743-52.
van der Waal RIF, Buter J, van der Waal I. Oral metastases: report of 24 cases. British Journal of Oral and Maxillofacial Surgery 2003;41(1):3-6. Group UCSW. United States cancer statistics: 1999–2010 incidence and mortality web- based report. Atlanta: US Department of Health and Human Services, Centers for Disease Control and Prevention and National Cancer Institute 2013. Hirshberg A, Berger R, Allon I, Kaplan I. Metastatic tumors to the jaws and mouth. Head Neck Pathol 2014;8(4):463-74. Hanahan D, Weinberg RA. Hallmarks of cancer: the next generation. Cell 2011;144(5):646-74. 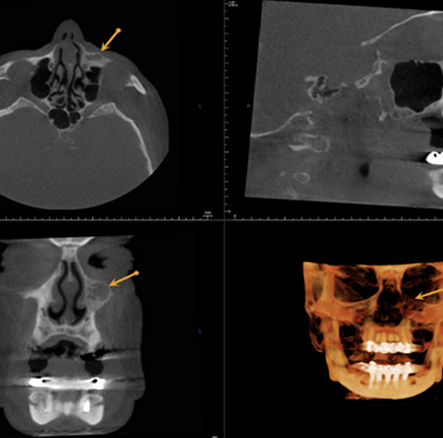 Freudlsperger C, Kurth R, Werner MK, Hoffmann J, Reinert S. Condylar metastasis from prostatic carcinoma mimicking temporomandibular disorder: a case report. Oral Maxillofac Surg 2012;16(1):79-82. Qiu YT, Yang C, Chen MJ, Qiu WL. 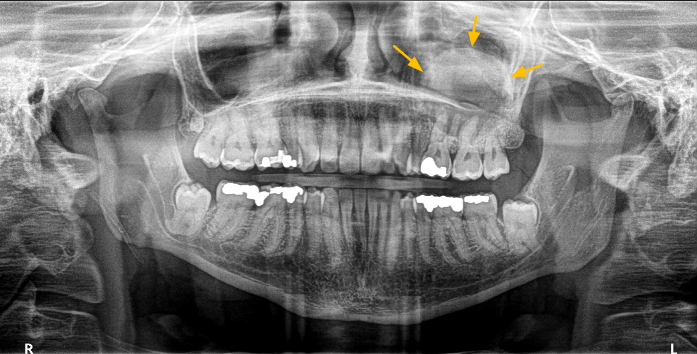 Metastatic spread to the mandibular condyle as initial clinical presentation: radiographic diagnosis and surgical experience. J Oral Maxillofac Surg 2013;71(4):809-20. PKumar V, Abbas AK, Aster JC, Robbins SL. Robbins Basic Pathology. Elsevier/Saunders; 2012. Aksoy S, Orhan K, Kursun S, Kolsuz ME, Celikten B. Metastasis of prostate carcinoma in the mandible manifesting as numb chin syndrome. World J Surg Oncol 2014;12:401. 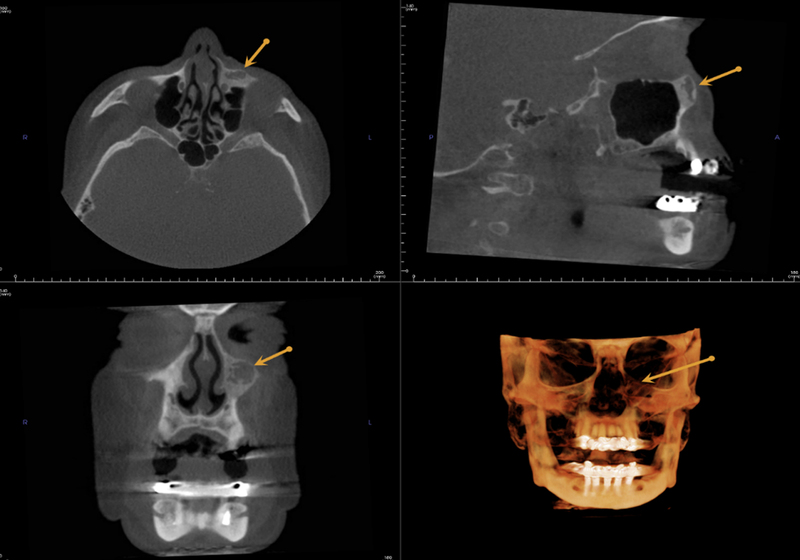 You TM, Kim KD, Jeong HG, Park W. Mandibular metastasis of cholangiocarcinoma: A case report. 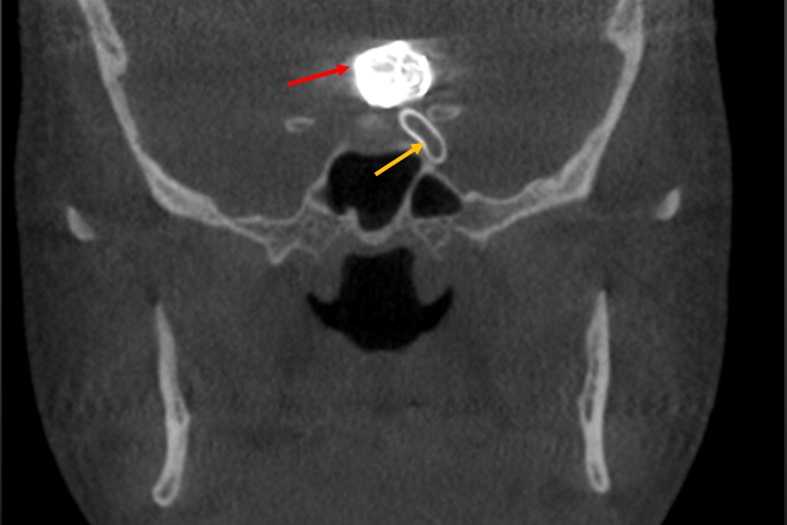 Imaging Sci Dent 2015;45(4):247-51. McClure SA, Movabed RM, Salama A, Ord RA. 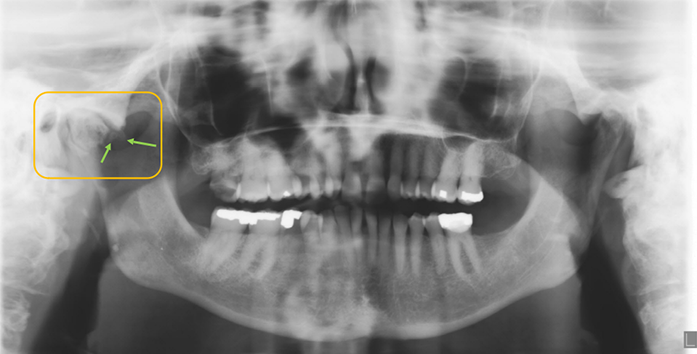 Maxillofacial metastases: a retrospective review of one institution’s 15-year experience. J Oral Maxillofac Surg 2012;71. Drake R, Vogl AW, Mitchell AWM. Gray's Anatomy for Students. Elsevier Health Sciences; 2014.